You are assessing the patient who just returned from endoscopy following a foreign body removal. The patient is complaining of his throat itching. On assessment, his vital signs are normal, but he appears anxious. Is this normal following the procedure? Do you put him on a cardiac monitor? Should you call a rapid response? We have all been faced with the clinical dilemma when our patient has rapidly progressing dyspnea, tachypnea, fever, cough, and chest pain. What is happening? Distinguishing between heart failure, pneumonia, and ARDS can be difficult. Did you know that COPD could mask a pulmonary embolism? When your patient is wheezing, do you make the assumption it is asthma? Or could the presentation be caused by heart failure or an allergic reaction? Attending this conference will provide you with the confidence to recognize early and identify appropriate interventions to prevent further deterioration. We will discuss when non-invasive ventilation devices should - and should not - be used. If you are still struggling with blood gases, don't let blood gases intimidate you! Learn quick and easy ways to interpret ABG results. You will learn from actual patient stories to illustrate the complexities and co-morbidities of cardiac and respiratory diagnoses! If there is no CE tab, please refer to the course brochure for continuing education information. Review the nursing assessment for patients with airway or ventilatory problems. Describe the pathophysiologic changes that occur causing the signs and symptoms associated with airway or ventilatory problems. Select appropriate interventions for airway or ventilatory problems. Differentiate between ventilator modes and the use of NPPV. Evaluate appropriate treatment strategies for high-risk ECG findings. Plan for emerging treatments in heart failure. Analyze management options for acute coronary syndromes. Describe the diagnosis, evaluation, and management of inflammatory cardiac disease. Do you need a Swan-Ganz? Is This Patient Having an MI? Robin Gilbert has over 25 years' experience in emergency nursing. She is both a certified emergency nurse and certified pediatric emergency nurse. 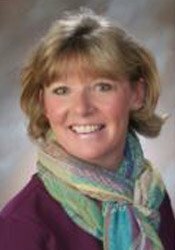 Robin has experience as an emergency department manager, manager of cardiac & pulmonary rehabilitation and, currently, as the regional manager for staff development at Central Maine Medical Center. She instructs the NCLEX review class for Kaplan and tutors nursing students online for a local college of nursing. Her experience also includes having been an item writer for the Board Certification of Emergency Nursing and a former Chairperson. In her current role, Robin is able to remain up to date in the trends and best practice standards for care in emergency nursing. Robin received her BSN from Curry College, Massachusetts and her MSN from Saint Joseph's College, Maine. Robin is an active member of the Emergency Nurses Association, the American Nurses Association, Society of Critical Care Medicine, and is a reviewer for the ANCC's Pathway to Excellence. Financial: Robin Gilbert has an employment relationship with Central Maine Medical Center and Rumford Hospital. She receives a speaking honorarium from PESI, Inc. Non-financial: Robin Gilbert has no relevant nonfinancial relationship to disclose. This program offers 380 instructional minutes of pharmacology content which is designed to qualify for 2.0 contact hours toward your pharmacology requirement to receive credit. It is your responsibility to submit your certificate of successful completion and a copy of the seminar brochure to your licensing board.